At the end of 2016, the director of the baseball league, Pastor Lee (former Korean baseball all-star), Pastor Ren (baseball league instructor), and Elder Kim (chairman of the baseball league fan club), all arrived in Taiwan to participate in a discussion forum. In the forum, they discussed the slow development of Taiwan’s current (baseball) team due to lack of power and inadequate teaching resources. To this, Pastor Lee responded that even the Korean team started with only one person, it was only after operating for fifteen years that it was able to grow to hundreds of people. Fruit will be produced as long as you persist until the very end. For the problem of insufficient coaching resources, the Pastor suggested to raise new coaches through coaching programs. He also suggested that small teams should first practice with neighbouring churches and then invite new friends to participate. The team will gradually grow in this way. 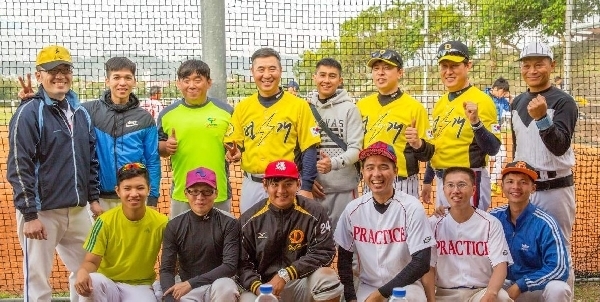 Lastly, the pastor and elders hope to hold a Taiwan, Japan, and Korea joint baseball invitational tournament in 2017, to allow for increased international exchange through sports.